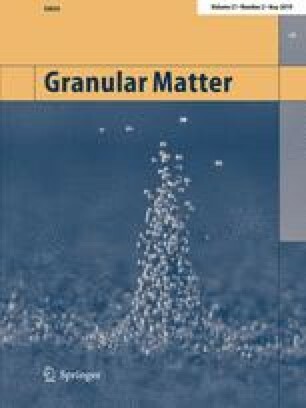 Granular soils exhibit very complex macroscopic mechanical responses when subjected to cyclic loading. To enhance the understanding of the cyclic behaviors of granular soils and provide significant insights into the constitutive modelling, this paper investigates the microstructure and its evolution under cyclic loading using distinct element method (DEM). A series of cyclic triaxial tests in drained conditions were numerically carried out on the DEM specimens with two different initial relative densities. At particle scale, both the coordination number and contact fabric were investigated to study the microstructure evolution of the granular soils. The simulations indicate that the evolutions of coordination number and contact fabric are highly dependent on the relative density and cyclic mode. A threshold value for the fabric anisotropy exists under cyclic loading, and once the threshold is reached, the internal structure of the specimen tends to be unstable, and the critical coordination number is reached at the specimen failure. The contact normal fabric tensor is always coaxial with the stress tensor under cyclic loading regardless of the sand relative density and cyclic model. Although there is no unique relationship between the contact normal fabric and stress, a uniqueness relationship between strong contact fabric and stress can be observed. The research has been funded by the National Natural Science Foundation of China (Grant No. 51639008 and No. 51890911), Key innovation team program of innovation talents promotion plan by Most of China (No. 2016RA4059) and State Key Lab. of Disaster Reduction in Civil Engineering (Grant No. SLDRCE14-A-04), which supports are greatly appreciated. The support provided by China Scholarship Council (CSC) during a vist of ‘An Zhang’ to UC DAVIS is also acknowledged.